Recently a buyer approach me. 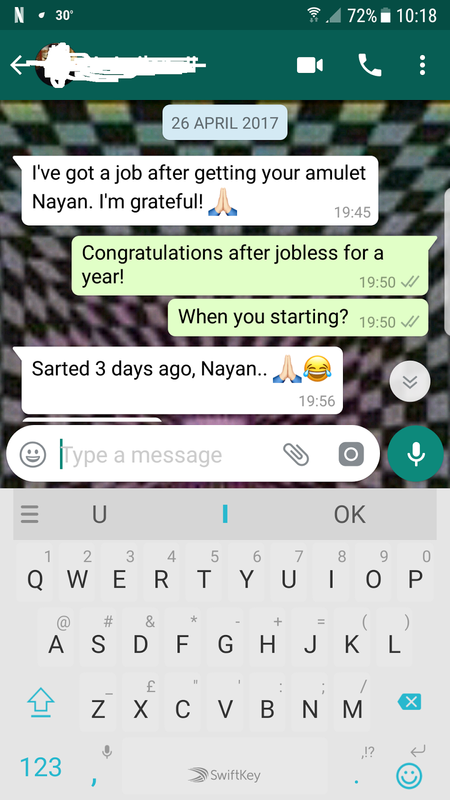 He said he was jobless for more than 365 days, more than 1 year. He has try many interviews but rejected. He prayed for help and guidance. He found me, and i recommend him a magic job hunter amulet that will get him a good job. Within 1 month of using the thai amulet, miracle happen on him! [26/04, 19:50] Nayan: Congratulations after jobless for a year! [26/04, 19:50] Nayan: When you starting?